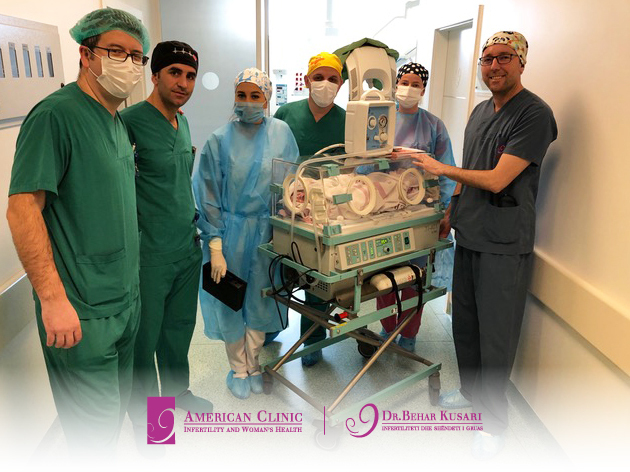 THREE CHILDREN JUST ARRIVED IN THE AMERICAN CLINIC "DR. BEHAR KUSARI "
Though in Kosovo there is still fear of delivering births to private health care institutions, but the couple decided to give birth to Trenakhi by trusting the American Clinic “Dr. Behar Kusari “, proving that with the latest technology, medical professional team and 24h care, couples are able to perform Gynecological interventions in Kosovo without having to find solutions out of it. In a statement, the director of the American Clinic “Dr. Behar Kusari “emphasize that medical professionals in Kosovo are capable and that our hospital provides security and above all quality to all patients.